With the Kiwis currently in the country to participate in a 3-Test series, their historical record in India receives an additional amount of scrutiny. In 31 Tests, they have managed to emerge victorious only twice as against 13 defeats and 16 draws. However, those two occasions remain a significant part of their history in the sport’s iconic format. The first of those came way back in 1969 when their spinners, somehow out bowled a strong Indian attack comprising of Bishen Singh Bedi, Erapalli Prasanna, and Srinivas Venkataraghavan, on a traditional turner at Nagpur to draw the series 1-1. 19 years since then, in the same state, the Kiwis notched up another remarkable victory, with this time the venue being Wankhede. 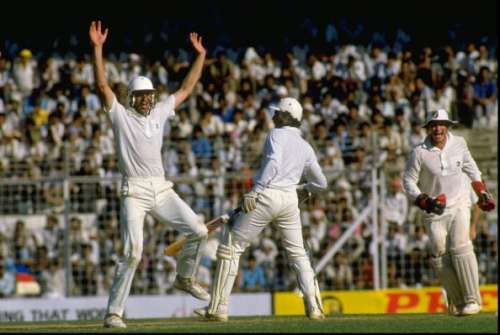 Let us revisit the second Test at Bombay when John Wright’s team ambushed the Indians from nowhere. Having been spun to submission in the preceding match at Bangalore, the odds were stacked heavily against the Kiwis. On a pitch which had something for all types of bowlers, they won a crucial toss in a bid to avoid batting last. However, India’s spin trio of Narendra Hirwani, Arshad Ayub, and Ravi Shastri threatened to make quick work of them by striking at regular intervals. When Mark Greatbach's painstaking vigil was ended, the visitors were precariously placed at 158/8. Off-spinner John Bracewell attempted to push the total in the vicinity of 200 alongside a rather determined Danny Morrison. The duo batted 216 deliveries between them and added priceless runs to frustrate skipper Dilip Vengsarkar. 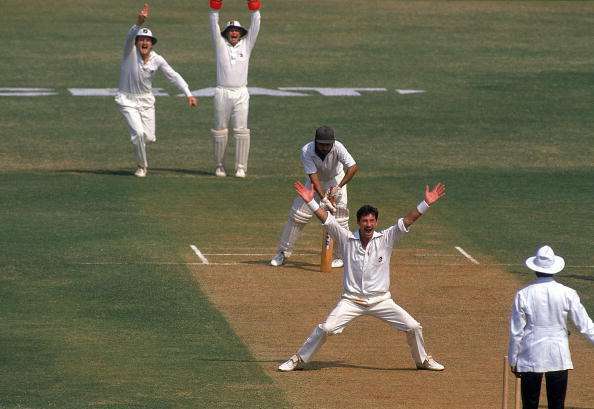 Eventually, the innings was wrapped up at 236 and the talismanic Richard Hadlee got ready to make optimum use of the new ball. 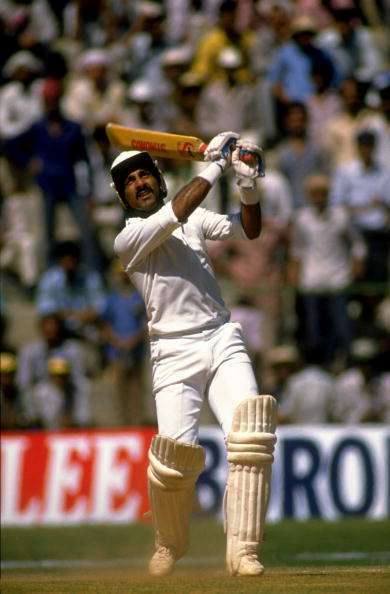 After Sunil Gavaskar had called time on his inspirational career in the previous season, Arun Lal was handed the unenviable task of having to fill up the seemingly massive hole left by the great man at the top of the order. But, the charismatic Kris Srikkanth remained at the other end and did not shy away from his no-nonsense kamikaze style of batting. Amidst early wickets, the Tamil Nadu cricketer hit back with a typically entertaining knock and looked set to reach a frenzied century. But, in a pivotal moment of the game, he was outsmarted by Hadlee’s perseverance, following a 137-ball 94 which contained ten fours as well as two sixes. With his tail up, the veteran seamer ran through the lower order to keep things on an even footing ahead of the second innings. Eager to set up a solid platform, New Zealand’s top-order began to dig deep and test the patience of the Indian bowlers. In particular, the ever dogged Andrew Jones played a responsible hand to notch up handy partnerships. When it seemed like the match was slowly slipping beyond their reach, the hosts prised out four quick wickets to storm back into the contest. But, the decisive twist was yet to come. Bracewell assisted the pugnacious Ian Smith in handing out the slow-poison treatment to the Indian bowlers. While the wicket-keeper batsman latched onto the poor deliveries, he stonewalled to a 132-ball 32. In the end, their 69-run stand had propelled the target towards a highly challenging one. Chasing 282 on a rapidly deteriorating surface, India lost the in-form Srikkanth off the very first delivery. Taking stock of the conditions, Wright brought the spinners earlier than he normally would have. Operating from a high-arm action, Bracewell probed a batting lineup that was accustomed to slow bowling with his spitting off-breaks and dismissed Navjot Singh Sidhu and Vengsarkar in quick succession. Reeling at 54/3, the home side were staring down the barrel with the writing seemingly on the wall. It became more apparent when Mohammad Azharuddin, a magician against spin, decided to adopt a hit out or get out approach. Needless to say, it ended up being the latter. Kapil Dev briefly raised the hopes of a packed house by treating fire with fire. However, the flurry of boundaries inevitably led to one risk too many and the tourists closed out a well-deserved victory. Fittingly, it was Bracewell who took the final wicket as New Zealand out spun the Indians on their own turf. As if to highlight cricket’s ability of being a leveler, Bracewell went wicket-less in the decider at Hyderabad which India won by 10 wickets to seal the series 2-1. But, the Blackcaps had exceeded expectations by entering into unfamiliar terrain and emerging from it with a Test victory.